As a nurse you know it is not a ‘one-track’ job. There is a vast variety of opportunities for growth within your profession. So, where do you picture your nursing career taking you in the next five to ten years? Maybe going back to university and taking an RN to BSN degree, or working in the field and learning as you go? Whatever it is your wish to peruse, here are a couple of tips to help advance your nursing career. Education within the nursing profession is exceptionally important if you want to advance your career. Going back to university after being in the workplace can seem scary, but a great alternative to going back to a ‘campus’ university is by taking an online accelerated nursing program. 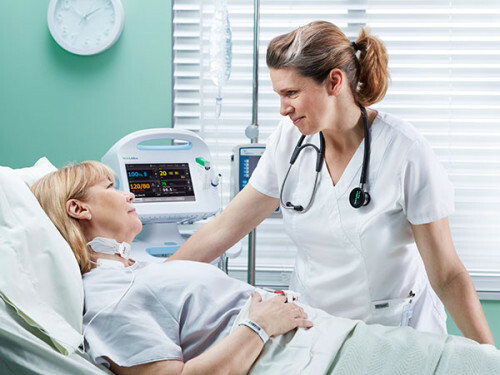 By taking an online nursing degree, it can refresh and accelerate your knowledge and if desired, you can progress on to a graduate degree and specialize in the sector of nursing you wish. The good thing about taking an online degree is that it’s flexible, so you can do your online study alongside your nursing work. Just because you’re a nurse doesn’t necessarily mean you have to work within a hospital. Instead, you can pursue the broad array of alternative nursing careers, such as a hospice nurse, public health nurse, mental health nurse or life care planner. There are so many different opportunities outside of the hospital environment now, healthcare is a booming field and will always be needed. As a nurse you can ask for mentoring. Identify someone whose work ethic inspires you, ideally someone who works in the same sector as where you aspire to work in the future. Having a mentor enables you to ask for career advice, coaching and wisdom from a successful professional. Therefore, advancing your knowledge in the specific career path you wish to pursue. Join local nursing associations or networking groups, this way you can get to know other nurses within your local community that you may not necessarily work with. Nurses are desperately needed abroad; more than 1.3 billion people lack access to basic healthcare services across the world. Volunteering abroad can develop your career by increasing your ability to work in difficult and contrasting situations. You will experience massive differences in healthcare and medical practice compared to your nursing job back home, depending on the country you volunteer. Facilities can be under-resourced, and practices can suffer from a lack of staff and modern equipment. Whilst there, you’ll be able to experience new cultures and challenge yourself every day. Remember why you love the career you are pursuing and don’t get caught up in pushing yourself to level up in your career too quickly. Stay on the lookout for nursing jobs that are relevant to what you specifically want to do, and take the time to broaden your horizons a little. There are many different ways to advance your nursing career, it just depends on what is best for you. Good luck!